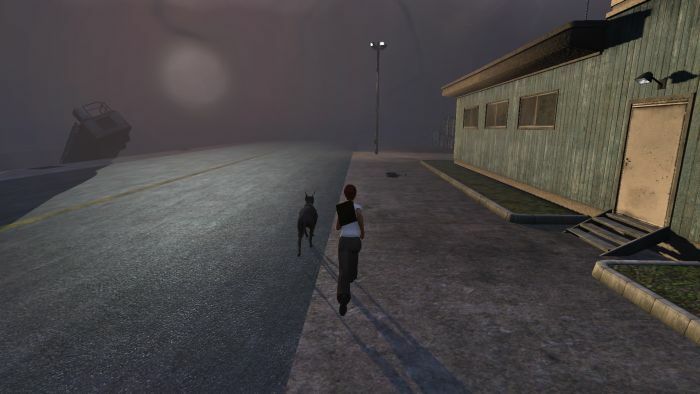 It Takes Two To Tango #TSW #TheSecretWorld – Nomadic Gamers, eh! Well, it looks like the fates aligned for me when it came to The Secret World. I had held off purchasing the game and was making my way through the free trial when Amazon put it on sale, 50% off. That dropped the price down to $25 USD. As it would happen, I had $15 in Amazon coupons, left over from a Christmas gift so the entire game cost me roughly $11 total. Unwilling to pass up a deal that was less than even one monthly subscription, I of course purchased it and am now enjoying the 30 days the base game comes with. Enjoying it quite a bit more than I ever thought I would. I’m still working my way through Kingsmouth, and have managed to get myself geared for Polaris, the first dungeon in the game. I haven’t been there yet but I do hope to some time this weekend. In order to be ‘geared’ for the first dungeon you’ll want to be wearing QL3 in most slots (or at least this is what general channel has told me). I’ve got mostly QL3 and a piece or two of QL4. I purchased some vendor sold gear for little tokens that you get while doing missions which has helped me out a lot. I’m working towards my first deck which is the exorcist deck I believe (I may have the name wrong, I’m not in game and I’m not looking right at it) which is a blood magic / fist healer deck. Combat and skill sets and gear is pretty easy for me to understand, so I have been able to simply enjoy the game which I really like. I also love how minimal the UI is, I basically only need my offensive target, defensive target, and instead of having 6-9 hotbars jam packed with crap I have 7 buttons + a small bag with consumables to use. The game really makes you pick and choose which skills you want on those 7 hotkeys, and it’s just refreshing not to have to worry about which skill out of 50 I want to use during a fight. So far I’ve loved every single NPC interaction I’ve come across. The cut scenes are fantastic, each character has a story and a history and it’s just amazing how much I feel a ‘part’ of it. Though I am wondering, if the church is ‘free’ of zombie ghouls, why doesn’t everyone just hole up there. I suppose those who are incredibly opposed to religion may not want to even if it’s safe from zombies. I’ve also noticed pretty much everyone in the town has blue eyes. In fact one NPC I was speaking to at the airport had orange eyes and it caught my attention – until I spoke to them in the next clip and they had blue eyes too. Weird. Probably some sort of graphic glitch but I still noticed it. I’m not sure what my favorite parts have been so far. I really liked helping out at the Scrapyard and the Airport. I’ve gotten used to marking my map filled with little “Q” icons, for quests I find that I don’t have time / space to pick up when I run by so that I can return later. I haven’t done any stealth quests yet but that will be my goal for today I think, to attempt at least one. I’m STILL not a giant fan of the genre. I have to take a break every so often because I find it very dark, and playing while I’m alone at home in the dark is just not fun. So long as I’m with friends, or my house isn’t empty, or it’s day time, it’s not so bad. For $11 you sure won’t find me complaining at all. I’m a huge horror fan, but I think the MMO genre suits horror very poorly. Regardless I will try the game when I get the time, and there is a trial available. I started playing TSW this past Wednesday myself, and I find myself enjoying it. I’m not a fan of the horror genre, and there are some missions that are incredibly dark, which I don’t care for, but overall I’m having an absolute blast — I keep losing track of time when I play it, so that’s a good sign. I just got out of the game right now and it’s 2:30 am, when I’d intended to play until midnight. Yikes! I haven’t even looked at any decks. I saw a self-regen’ing solo AE build on the forums that I thought looked pretty sweet, and I’m about 2/3 of the way to it on number of skills purchased. As far as the number of raw AP’s needed, well…. yeah, I’ve got a ways to go yet. My story line wants me to go to Blue Mountain now, but I’ve still got quite a few quests in the Scarred Coast that I want to check out before I do. I figured I’d enjoy the game, but I didn’t figure I’d enjoy it as much as I am. Very pleasantly surprised. I love TSW but I do wish they’d tone down the horror and turn up the conspiracy theory. There are parts of the main Templar storyline later on that I really found unpleasant and disturbing. Not inappropriate, but too horrific for my tastes. Apparently the Funcom suggested Decks are mediocre at best and people who know what they are doing only do them for the appearance gear you get for completing them. I gave up halfway on the first one i tried and had much better success using a build of my own devising, and I have no clue what I am doing! Overall I like Egypt best although the general standard is high. Be interested to hear what you make of Blue Mountain, which is a real stumbling-block for many.